This event is completely FREE to attend! These classes take place on the first floor of Spontaneous Celebrations, just as you enter the building. Learn how essential oils work and how to use them safely in your day-to-day life to promote health & wellness, boost immunity, support sleeping habits, mood management, and support your body. This talk will offer a discussion on the current status of the emerging field of psychedelic medicine, its consideration in the context of herbalism, and an invitation to explore the coming opportunities for continued integration. In this class we'll talk about herbs that can help with the stress, fears, and excitement swirling around this transitional season -- for both kids and parents. We'll also go over some solid strategies to strengthen your body against the Back-To-School germs, so that you can stay healthy all through the school year! Don't have kids? Don't worry: it turns out, all of this stuff happens to grown-ups too, and herbs don't discriminate: they'll help you even if you're not Back-To-School! I would like to take you on a sunny walk down the side of the freeway, through a meadow, around a lake and down a bike path. Goldenrod, like many plant pals, is loved for its scent, beauty, medicine & color. In my talk I will show you the many ways Goldenrod can be part of your life year round. Bring clearly labeled dried herbs, tinctures, essential oils and other herbal preparations to swap with others. Don't forget to bring bags or jars to take home your new herbs! 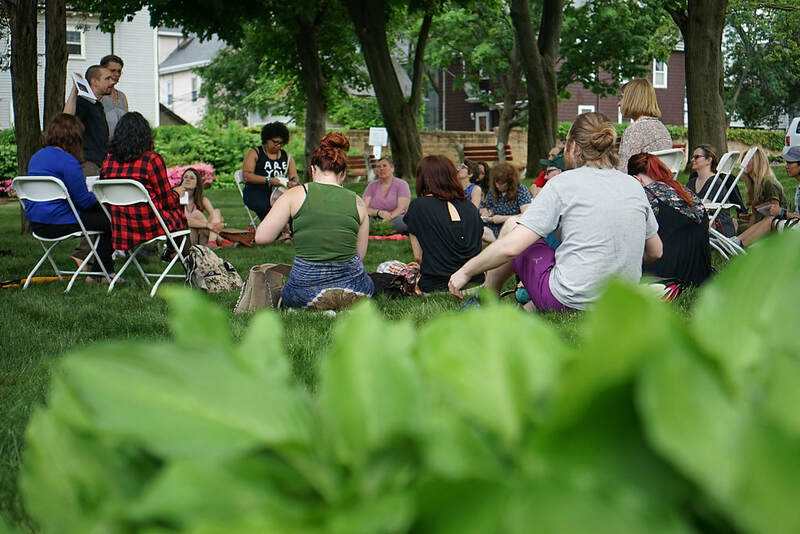 These classes will either start right outside the building (for plant walks), OR at the community herb garden located a 3 minute walk away near the Stonybrook T-stop (for yoga classes). Volunteers will be outside to direct you. This is an all-levels, accessible yoga flow to celebrate the turning of the seasons. Join us by the Herbstalk garden, located in the park directly across the street from the Stonybrook T-stop. 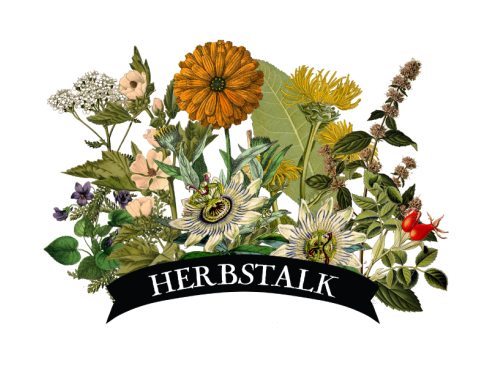 Join us for a community herb walk at the Herbstalk garden! We will drink tea, meet the plants and learn about their medicinal uses, and learn more about the Herbstalk Gardens Project. There will be time at the end to collect motherwort seeds together to plant in the Spring, and we will talk about ways to get involved next season. This class will include an introduction of how we can interact with plants. We will discuss the greater implications of interspecies communication, and how this may impact our relationship to nature and the health of our mother earth. Participants will be encouraged to choose a wild plant ally for a guided meditation. I will instruct on the basics of visionary plant meditation, and guide the participants through calling in their chosen plant, and asking for its medicine. In this class we will seek out the plant allies that live all around. Sustainable & ethical harvesting, and using invasives and 'weeds' for food and medicine will be covered as we navigate the urban terrain. 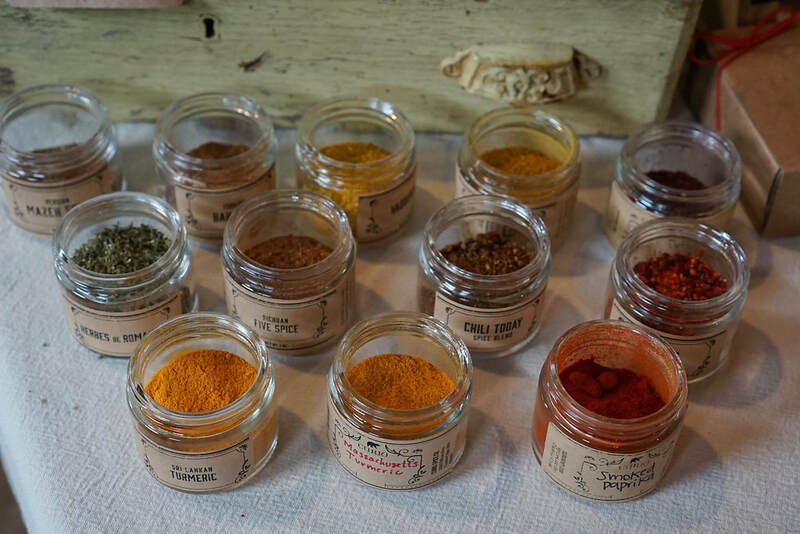 The talk will focus on using these herbs in day-to-day life, and explore many different preparations and tasty ways to use the abundance of what's around us. This class uses Vinyasa Yoga postures as the foundation for a healing-focused workout which will target the twelve major organs, the vertebrae, and the complete kinetic chain to promote natural and healthy function from the inside out. This class is suitable for participants from beginner to instructor level and can be individually customized to help specific injuries, chronic conditions, or as a course of recovery. Benoit Azagoh-Kouadio is a holistic agriculturalist at large, living and working at Round the Bend Farm in South Dartmouth, MA. Together alongside others, he is a member of the Boston Entheogenic Network and a passionate advocate for the advancement of psychedelic medicine, being particularly interested in the intersection between psychedelics, herbalism and ecological agriculture. ​Mal Cole is a sacred plant medicine educator and practitioner in her third year of apprenticeship at the Gaia School of Healing and Earth Education. Her areas of interest include: spiritual ecology, visionary meditation with plants, inter-species communication, bio-regional herbalism, plant identification and wild crafting. She is committed to recognizing individual lineages in her practice and strives to educate others about cultural appropriation and protecting the practices of indigenous and pre-colonial cultures. The Founder and Head Instructor of Taireiki Yoga Center Ivor Edmonds has earned a Bachelors Degree in Religion from Oberlin College, and a M.A. in Applied Healing Arts from the Maryland University of Integrative Health. He is an E-RYT 200 certified Vinyasa Yoga Instructor, a Level II Usui Reiki Healer, and a Master of Gendai Reiki Ho. Edmonds has also brought his expertise in Traditional Healing to bear in work with gangs, senior citizens, and homeless people. He is committed to service in his community and to offering alternative healing as a practical means to end stress, treat illness, speed convalescence and recover a healthy balanced life. Maggie is a gardener, herbalist, and budding natural dyer. She has studied with Jade Allicandro Mace and Brittany Wood Nickerson, and currently works for Soluna Garden Farm spreading herbal knowledge and cups of tea throughout Boston. As a steward of the Herbstalk southwest corridor garden for the past two years, she hopes to help people reconnect to themselves, the earth and community through shared projects, beauty and vulnerability. Stephanie Keenan Re is a licensed esthetician with a focus on natural skincare, holistic spa therapy, and aromatherapy. She is also a shambala master energy worker and Wellness Advocate for DoTERRA essential oils. Stephanie started her website, Natural Beauties, to build community and share her knowledge of health, wellness and natural living. Clair took her first yoga class in college and fell in love immediately. The mat became a place of refuge amidst numerous health struggles, and still remains one of her favorite forms of self care. Clair strives to make her classes simultaneously energetic and relaxing, and accessible to all people. Outside of the studio, she is a practicing clinical herbalist and devoted dog mom. Amy Lou's nomadic life has led her down different paths including: wardrobe stylist for rock n' roll bands, fine gardener, hand sewer & custom blended perfumer...to name a few! In 2015 she founded Craftwork -- a place for folks to learn, make and be happy. Through courses, workshops, and special events she strives to cultivate a creative & supportive community open to makers with a wide range of backgrounds and interests. Amy Lou loves to make and hang out with other makers! Katja has been teaching herbalism and practicing as a clinical herbalist since 1996. She serves as adjunct faculty at MCPHS University and Northeastern University, teaching vitalism and Traditional Western Herbalism to PharmD students each year. In 2011, she and her husband Ryn Midura founded the CommonWealth Center for Holistic Herbalism, a vitalist school with a three-year clinical training program. In addition to this program, they offer a one-year community herbalist program and community classes and workshops. Katja is also trained as a street medic and Wilderness First Responder, and has run in the streets or coordinated dispatch for actions in Boston, New York, and Ferguson. Laura has been a plant person for 18 years now, beginning first in the food and social justice based educational agriculture, and slowly niching over the years into alignment with herbal medicines. Her passion is uniting people into deeper relationship with themselves and the space around them. She currently works with Clearpath Herbals, as the head of their medicinal garden community days, and teaches in the area. Her other passions focus on her own writings, poetry and collaborative writing ventures through the pen names Jumping Mouse, and La Pine Rose Wolf. a short walk away at the nearby City Feed & Supply located at 66 Boylston St.
Spontaneous Celebrations is located in a residential neighborhood. There is no public parking at the venue, but there is street parking in the surrounding areas. The Stonybrook T stop is a very short walk away. There is wheelchair access to the first floor of the venue through a side door (located on the left-hand side of the building.) The first floor will be where our mini-classes are located. Unfortunately there is no elevator to the second floor, where the marketplace will be held. Handicap parking spots near the building can be reserved with advance notice -- please email us at: info@herbstalk.org. As always, we will have volunteers on hand to help anyone who needs additional assistance -- please inquire at the front desk as you enter! We are happy to accommodate our attendees however we can.